Download a sign. Click on the image below and print it out to fill in the blank with the civic action from the Beyond the Ballot Toolkit that you will take. Take a picture. Hold the sign in front of you and snap a photo – or have a friend take the photo! 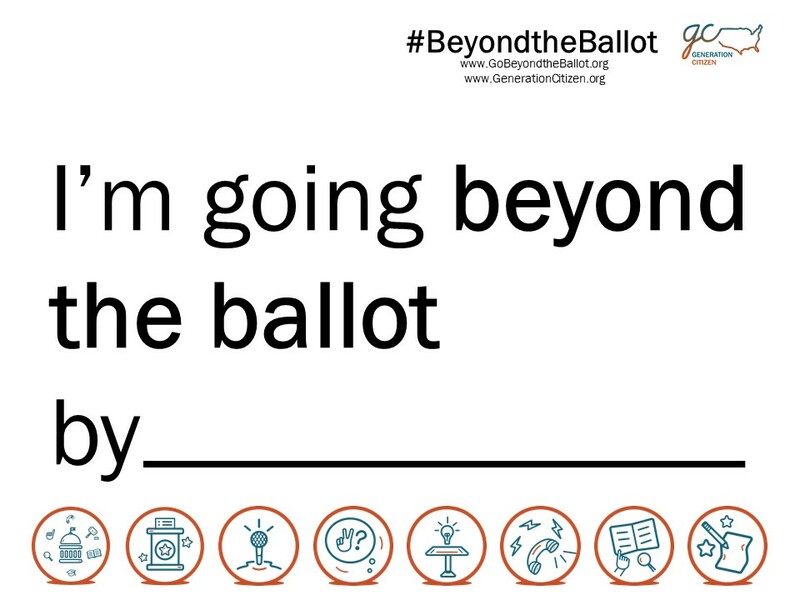 Post your picture on social media using the hashtag #Beyondtheballot. Let the world know you’re committed to taking civic action in your community!